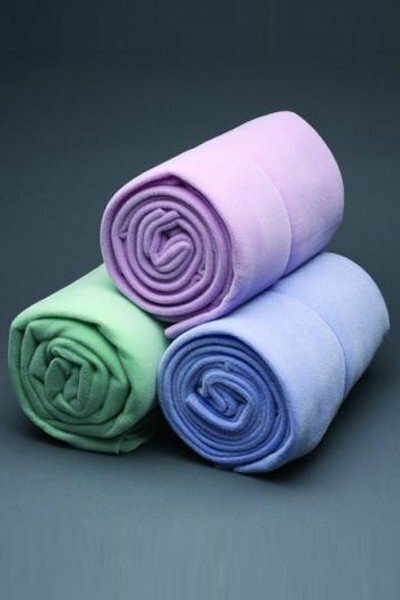 Perfect to take the chill off.This soft, cuddly blanket is made of 100% acrylic fleece. Assorted solids and prints. Machine washable. 50” x 60”.